Getting your certified home inspector business noticed is no small feat. You’ll gradually build a system of referrals over time, but what if you’re ready to grow now? Every business, no matter how large or small, needs better visibility to survive and thrive. Here are four ways to help get your marketing off the ground and make it happen. Home inspectors get a lot of business from referrals, and referrals come from people. What do people respond to? Communication. Authentic communication, to be exact. Emails are great and so are social media conversation snippets. But there’s nothing like a good old-fashioned phone call. ASHI Reporter says Dustie Amatangelo was almost hired by her current company to “run candy bowls to the real estate offices” and set appointments. But FBI Group home inspectors liked her vision better. She’s VP of Business Development now and it all started with phone calls to real estate offices, which she continues today. Ten offices per week, she says, and each call has a personal touch. Plan and develop presentations for real estate offices well in advance. 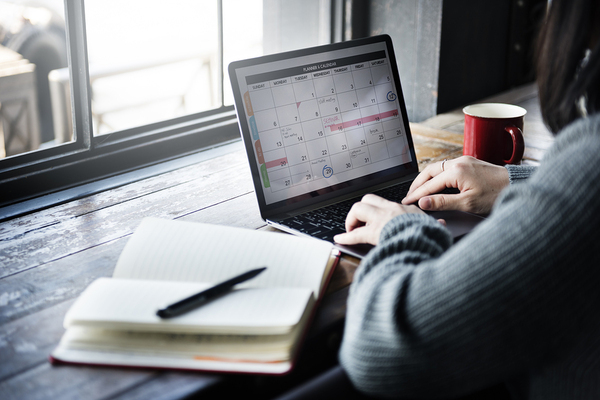 What kind of presentations do you offer agents who’ve carved out a slot on their calendar? If they’re interesting and engaging, agents will want to attend and fewer of them might doze off. Think about what you’d like home buyers to know. They’re your customers, after all. But agents have more contact with them, and from an earlier stage in the process. The more they know, the better educated your customers will be about the home inspection process. Get creative. Make presentations something special. The more value agents get from knowing you, the more likely they’ll be to make referrals. Many home buyers go straight to the source to find the name of a good home inspector. Home inspector associations tend to have a professional directory that home buyers can search and review before making a call. How your information displays makes a difference. At ASHI, the directory is called “Find an Inspector.” ASHI Reporter recommends updating your information and checking it regularly to see how your business ranks. Upload your company logo. If you don’t have one, ASHI has free graphic design services for members. Double-check contact information for accuracy. Update anything that’s outdated. Fill out every field, including a company description and which services you provide. Check out other certified home inspector profiles to see how yours compares. The more complete and accurate your Find an Inspector profile, the more page views, and hopefully appointments, you’ll get. Your website looks great, it’s mobile friendly, and everything a prospective customer needs to make an appointment is handy. Your profile is updated at your association, too. So where is all of the business? If Google doesn’t favor you in search rankings, your beautiful efforts won’t help much at all. There’s yet another way to pull all of these threads together. When you’re ready to hire a new employee, choose someone for marketing so you can delegate the work. Hire someone part-time or outsource a dedicated professional who doesn’t find cold calling intimidating, understands how to build an engaging presentation, keeps your contact information current, and won’t go cross-eyed when talking about Google search rankings. There’s plenty of time to hire another inspector in the near future. With all of your marketing ducks in a row first, your business will grow enough to support them and more. One of the biggest things going for you is your quality of service. A big part of that is the home inspection report. Check out Report Form Pro or the next generation, Report Form Pro II today. Download the home inspection app for Android or get it for your iPhone today.